Recently my social media feeds have been showing selections of outstanding photos from 2018. So here’s my own ‘photo of the year’ from Blue Dragon Children’s Foundation. 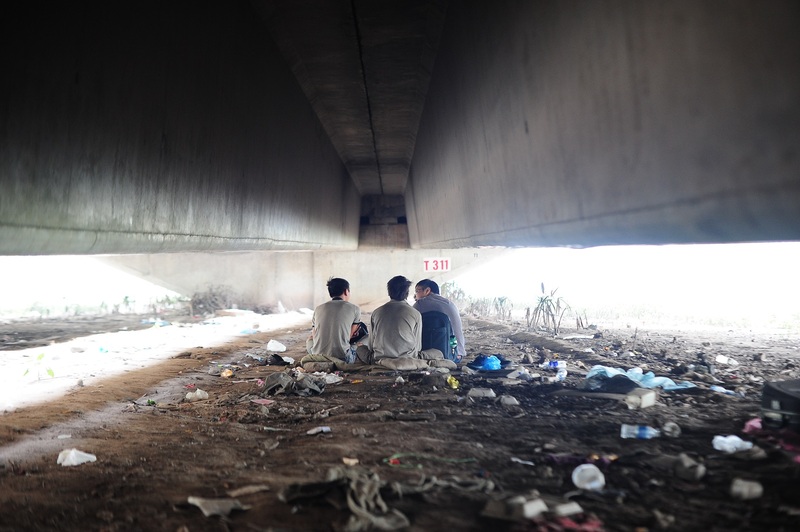 The photo was taken by one of our Outreach workers during a routine visit of the hiding places where street kids in Hanoi live. There are two homeless boys in the shot, and another of our Outreach workers sitting with them. This image captures who we are. We’re out in the field, down in the dirt, where we are needed the most. We’re sitting alongside those who are alone: joining them, accepting them. We’re not afraid to get dirty, and there’s nowhere we won’t go if someone needs our help. Rescuing kids in crisis sounds glamorous and exciting. Sometimes it is. Mostly it’s not. This photo says exactly that.